Network Security and Cryptography introduces the basic concepts in computer networks and the latest trends and technologies in cryptography and network security. 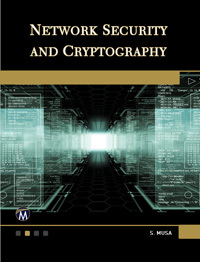 This book is a definitive guide to the principles and techniques of cryptography and network security, as well as their effective usage. Primarily intended as a textbook for courses in computer science, electronics & communication, electrical & electronics, the book also serves as a basic reference and refresher for professionals in these areas. Sarhan Musa holds a PhD in electrical engineering and is currently an associate professor in the engineering technology department at Prairie View A&M University, Texas.